3 Turning, Twisting, Thriller Stars!!! Friends gather for New Years celebrations, a tradition since their Oxford days. As a blizzard sets in, so the lines of friendship begin to blur. With tensions high, secrets are revealed; some more damaging than you could have possibly believed. Murder is on the horizon, the question is, who did it? The Hunting Party was an intriguing read, at first, I struggled with the many different points of views, and at one point I had to stop reading. It wasn’t that I completely disliked it, something was holding my attention, however, I was struggling to concentrate and take in, everything each character was telling me. I finally got to revisiting this story, and soon the story held me captive. Although I found each of the friends intriguing, I never found that I liked them. They all came across as pompous, the friendship they each held was clearly much of a pseudo, only using the other for what they felt they could get from the so-called friendship. The employees of the retreat they stayed at, were definitely intriguing, and I did find myself warming to them. This story has many twists and turns, unfortunately, few of them managed to convince me to follow them. However, Lucy Foley, definitely has a talent for writing a plot that doesn’t take the easy route and has the ability to keep the reader on their toes. The storyline was brilliant, and I’m not sure this could have been written any other way then from each of the characters points of views, to give it, its full justice. It is purely my own opinion that I struggled with the many different points of view. 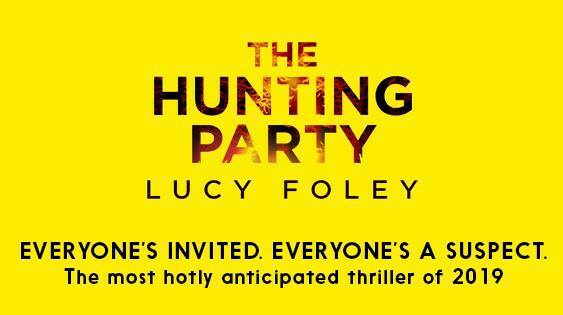 Looking for a crime thriller to take you on a crazy, dark, twisty, ride, then The Hunting Party is for you.